The Zonta Club Of Orange Inc. works to raise funds for local and overseas projects, and participates in community events. Although the city of Orange (population 40,000) is a major provincial centre, many of the local projects we support reflect the issues women encounter in a rural and regional setting. Our major fund raiser each year is the Antique, Jewellery and Vintage Fair. This two and a bit-day event is an institution in the wider Orange area, and is launched with a grand opening night with canapés and local wines. Club members enjoy the weekend hugely and we relish trying new ideas and changing things slightly each year. With the funds raised we are able to provide funds for local projects to help women and children, including Orange Family Support, Operation Courage (domestic violence victim support), the NSW Country Education Foundation and accommodation for homeless women. Our scholarship program is something that we find very rewarding as it gives rural women students the chance to study in major centres, partly removing the financial barrier that exists when school leavers need to move to a city to undertake tertiary studies. Equally important to us is the scholarship given to a rural woman student to study dentistry at the Orange campus of Charles Sturt University. 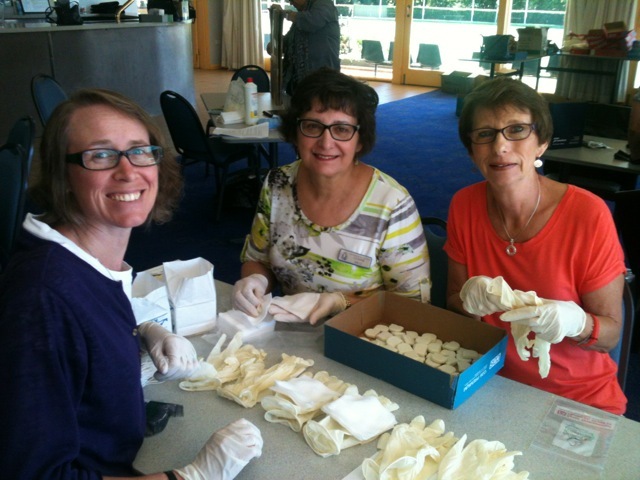 During the year, we participate in Birthing Kit assembly days, breast cushion making days and join the wider community to participate in International Women’s Day and Australia Day ceremonies. Please contact us if you would like to attend one of our dinner meetings. We aim to enjoy ourselves as well as to attend to our meeting business. Interesting speakers from a variety of organisations are invited by us to speak at several of the dinner meetings each year.